[toc]A great majority of people around the world suffer from allergies. Allergies are treatable. They require consistent care and avoidance of allergens. Treatment options for allergies depend on allergens causing allergy. It also depends on the symptoms associated with allergies. Allergies that lead to skin conditions can be treated with antihistamines. Cold allergies can be treated with ginger tea and other natural remedies. Allergies to bug bites may require pain medication. Seasonal allergies abate on their own over a period of time. Let us try to understand more about the home remedies for allergies. It is used to treat various allergies. Licking honey can help in soothing throat irritation during allergies. Honey contains antioxidants which help in fighting away the disease-causing pathogens. 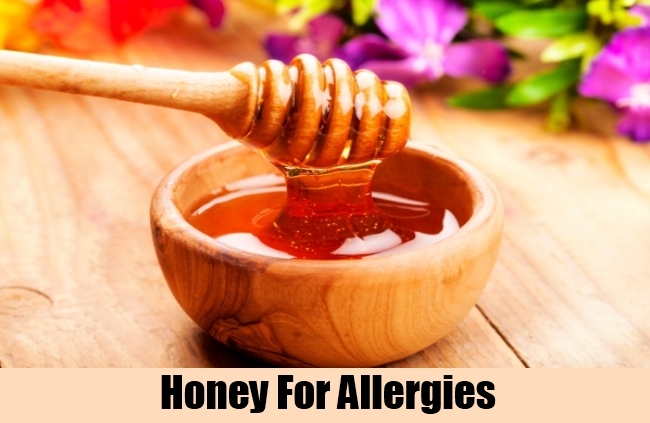 Honey works great for curing the hay fever and pollen allergies. If your child is suffering from a cough or cold due to an allergy, you can use honey to cure it. A glass of milk with honey surely helps to cure cold and cough. Honey contains anti-inflammatory properties as well. Honey is not recommended for infants with 0-12 months of age. Citrus fruits are a great way to enhance your immune system against allergies. These fruits contain vitamin C which works against the free radicals that worsen allergies. Vitamin C slows down the destabilizing reaction of free radicals during allergies. This helps in making other treatment options more effective. You can also consider eating an oral vitamin C supplement. Supplements derived from fruits and other natural sources are easily digestible and have no side effects associated with them. 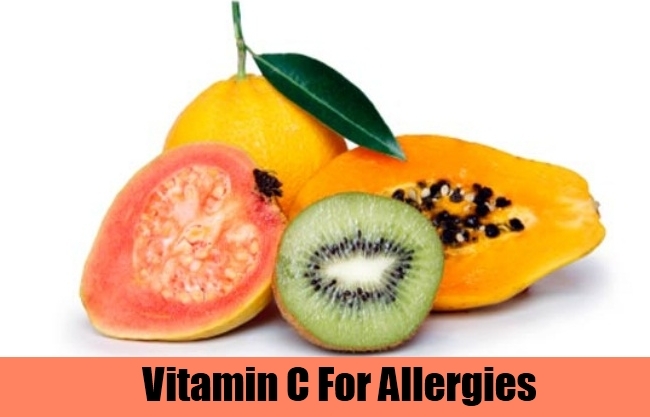 Add vitamin C containing foods to your diet to control allergies effectively. This works great during the summer. Swelling and inflammation caused by insect bites and heat allergies abate in intensity with a cool shower. Hot shower helps in keeping your ear, neck and chest region warm. This helps in treating cold and cough allergies. Warm bath also helps in clearing nasal congestion. 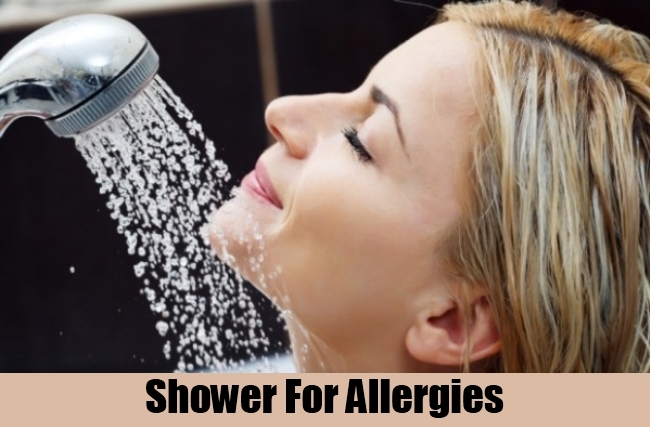 Shower works great for curing mild skin allergies too. Use a gentle liquid-based soap if you have skin allergies. Taking shower also helps in cleaning the outermost layer of skin off pathogens. Our body is great at curing allergies on its own. All it needs is adequate rest and proper care. If you are suffering from an allergy, rest well. Get 7 to 8 hours of sleep every day. This helps in enhancing body’s defense mechanism. A well-rest body is an asset. Sleep helps in enhancing efficiency of white blood cells. This helps in killing bacteria and other types of pathogens in our body. As a consequence of this, our body cures allergies effectively. These are the essential fatty acids. Our body needs them on a regular basis. Omega-3 fatty acids are known to have anti-inflammatory properties. This type of fatty acids can be derived from seafood. Salmon and other such fish species are rich in omega-3 fatty acids. You can also increase nuts and eggs in your diet to get these fatty acids in your body. 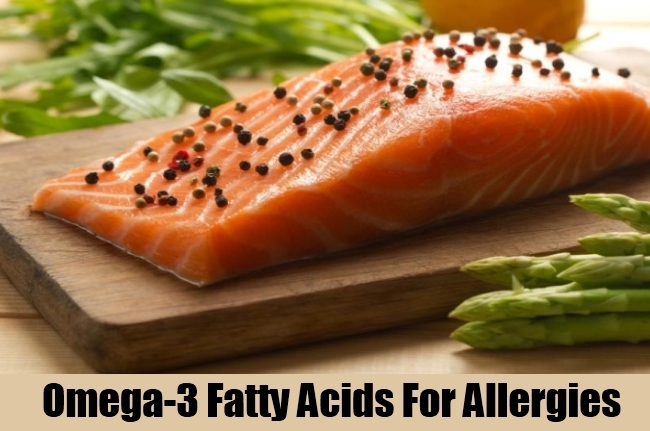 These fatty acids are great for curing allergies that cause inflamed or swollen skin. Fish oil supplements containing omega-3 fatty acids are also available in the market. Allergies are common all around the world. They affect all age groups. 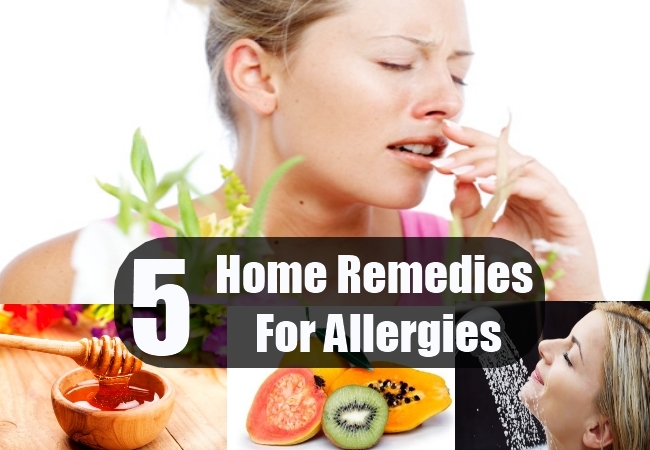 The above-mentioned home remedies work against a good majority of allergies. They will surely help in enhancing your immune system and curing allergies.